Charlie Abrahams is Vice President and General Manager, EMEA at MarkMonitor. He is a recognized and energetic executive with an established record of creating a strong European presence for leading global technology companies. His experience includes re-building and running the EMEA organization for Network General Corporation after its divesture from Network Associates, during which he grew the organization’s revenue significantly. Previously, he was hired by Plumtree Software (later acquired by BEA) to create the European business from scratch, signing on Global 100 customers and adding consulting services. Abraham’s prior experience also includes executive positions at Amdahl Corporation, IBM and Burroughs Machines. Based in London, Abrahams has a Master’s degree with honours in economics and sociology from Cambridge University and held a scholarship to King Edward’s School in Birmingham. Trevor Albery is VP, EMEA Anti-Piracy Operations at Warner Bros. Entertainment Europe. He joined the company as Anti-Piracy Counsel for European Anti-Piracy Operations in March 2004. In that role he was responsible for the coordination, management and provision of legal advice on all EMEA anti-piracy issues. In April 2006 Trevor was promoted to his current position. He is now responsible for coordinating all aspects of the Warner Bros. anti-piracy strategy in the EMEA region, spanning technology & operations, legal & enforcement, public policy & consumer education and new business initiatives. He also manages the EMEA Warner Bros. anti-piracy team. Prior to joining Warner Bros., Trevor spent four years as Senior Legal Adviser at the International Federation of the Phonographic Industry, London (IFPI), where he was responsible for the day-to-day management of all civil litigation brought by IFPI on behalf of its members in Eastern and Western Europe, SE Asia and Latin America. Trevor started his career as an IP litigator with the London media firm Hamlin Slowe (now Hamlins), specialising in music industry litigation. Trevor attained a law degree from the University of Bristol and holds a Post Graduate Diploma in UK, European and US Law of Copyright and Related Rights from King’s College, London. Andrew P. Bridges is a partner at Fenwick & West in San Francisco, USA. Mr. Bridges’ global practice is dedicated to trial and appellate litigation, arbitration and strategic counseling in high stakes matters for Internet, technology and consumer-focused companies with respect to new business models, media, technologies and communications platforms. Considered a thought leader on cutting-edge legal issues, he has 25 years of complex litigation experience in copyright, trademark, advertising, trade secret, consumer protection, unfair competition, licensing, and other commercial law disputes. In addition, Mr. Bridges is a strategic advisor to entrepreneurs and companies on their branding and trademark portfolios. He also oversees the management of global portfolios and the coordination of foreign litigation matters for innovators and companies around the globe. Before joining Fenwick & West, Mr. Bridges was a partner and Vice Chair of the firmwide Intellectual Property practice at Winston & Strawn. From 1991 to 2004, he headed the Trademarks and Advertising Practices Group at Wilson Sonsini Goodrich & Rosati. In 2008, he was listed as one of the top 100 lawyers in California, and since then he has been repeatedly ranked among the top 75 or 100 IP litigators in California. He has rankings in Band 1 for Intellectual Property—Trademark, Copyright, and Trade Secrets by Chambers USA and in Band 1 for California (one of only two individuals at that level) and in Band 2 nationally for Trademark Litigation by World Trademark Review, is listed in The International Who’s Who of Trademark Lawyers, Best Lawyers in America and in “Best of the Best” by Legal Media Group (for trademark law), and has been honored in a variety of other publications relating to e-commerce and intellectual property law. Mr. Bridges served as a law clerk for the Honorable Marvin H. Shoob, U.S. District Judge for the Northern District of Georgia in Atlanta. The World Intellectual Property Organization’s Mediation and Arbitration Center has selected him as a domain name arbitrator, and the U.S. District Court for the Northern District of California has appointed him an early neutral evaluator. Mr. Bridges is on the editorial board of the Journal of Intellectual Property Law and Practice (Oxford University Press); an advisory board member for the Electronic Frontier Foundation; and an active member in numerous organizations, including the Copyright Society of the USA, International Trademark Association, International Technology Law Association, Media Law Resource Center, Federal Bar Association, and the American Intellectual Property Law Association. He is fluent in Modern Greek and proficient in French and Italian. He is a trustee of the American School of Classical Studies at Athens and a former director of the Ronald McDonald House at Stanford. He speaks frequently at law schools, business conferences, and legal seminars. Nicholas Bentley is an engineer, designer, and craftsman who has pursued a varied career in electronics, communications, information processing, flight simulation and creative design. For the last eighteen years Nicholas has work independently following his twin passions for contemporary furniture design and the protection of intellectual property rights. For twelve of these years he has been researching and developing the Rights Office system under the trading name of Common Rights; a distributed system for regulating digital copyrighted material. Paul Brindley is the co-founder of Music Ally. Paul has a background as a musician, having played bass guitar with The Sundays, an indie band who sold over 2 million albums worldwide. He then went on to work as a researcher in Tony Blair’s private office at the House of Commons, before picking up again with music by writing New Musical Entrepreneurs, a report into the impact of new technologies on the UK music industry. This influential textbook on the early days of the digital music business was published by the Institute for Public Policy Research (IPPR) think-tank in March 2000. He was also called in to advise the UK Government on the policy implications of technology and new media. After co-founding Music Ally in 2002, the company has gone on to become a leading digital music research and strategy company with clients including the likes of Universal, EMI, Tesco, Orange and BBC. Paul is a respected authority and regular commentator and public speaker at various music and media events worldwide. For more information see www.MusicAlly.com. Nic Garnett is a London-based digital media lawyer and business consultant with UK Law firm Simons Muirhead & Burton. Dr. Susanne Guth-Orlowski is leading the Business Development & Sales department at castLabs GmbH. She started her twelve years of experience in Digital Rights Management with a promotion at the Vienna University of Economics and Business Administration. Before joining castLabs Susanne was leading the commercial and technical DRM activities for Music, Broadcast, Video, and Games services at a globally acting mobile network operator. During a twenty year career in the Australian Public Service, including service abroad with the Department of Foreign Affairs and as a Defence Analyst in the Department of Defence, Arthur Hoyle amassed considerable policy experience relevant to the study and teaching of law. In addition to teaching at the University of Canberra, he has taught at the Australian National University including in its Legal Workshop, and as a consultant with the ACT Government and several private organisations. In two instances he has been detached from the University as a specialist advisor, firstly to the Department of Information IT and the Arts where he advised on the introduction of revolutionary new legislation, and secondly as a senior legal policy advisor to the Attorney-General, before returning to academic life. He has planned and presented a number of at the time innovate courses in Commercial law and corporate governance, specialising in E-Commerce Law including short courses to Government and Private sector groups of professionals. He has planned and delivered courses in Australia and offshore in Singapore, China, Hong Kong and Fiji, as well as professional papers and keynote speaking at significant relevant national and international conferences in Australia, China and the USA. He has published books and in international journals in Europe and Australia. As the inaugural Director of the National Court of the Future project, he brought into existence a world-leading facility providing for scholarly and practical investigation of the effects of technology on the delivery of justice in the digital age. He has served as Law Programme Manager of the School of Law at the UC. He is an admitted legal practitioner and Barrister and Solicitor of the Supreme Court of the Australian Capital Territory. Jonathan Lockwood is Vice President, Corporate Counsel at Getty Images. Jonathan has been an in-house lawyer with Getty Images for almost 10 years and now heads up its London Legal department with overall responsibility for all types of legal matters across the EMEA region. He qualified as a UK solicitor with Walker Morris in 1998 where he joined the firm’s intellectual property law upon qualification. After spending 2 years in private practice post qualification, he became an in-house lawyer for a digital media company (Sportal) and then for a re-seller of TV rights (KirchSport), before joining Getty Images in 2002. Alec Main has over 20 years of technology experience in Internet security, software and consumer electronics. He is the Vice-President of Multi-Device DRM at Nagra where is responsible for their end-to-end multi-screen OTT security solution. As CTO of Cloakware he coined the term white-box cryptography and grew the pioneering software security start-up to over 100 employees and a successful sale to Irdeto. He is a market and technical expert in premium PayTV content management, protection, distribution and monetization solutions for broadcast and over-the-top (OTT). Jean-Henry Morin is Associate Professor of Information Systems and Services at University of Geneva, Faculty of Economic and Social Sciences. Member of the Institute of Services Science he is also program director of the Bachelor in Information Systems and Services Science and president of ThinkServices, a Think Tank on Services Science and Innovation where he leads an interdisciplinary group who recently launched ThinkData.ch an awareness service on data protection and transparency. He was Associate Professor at Korea University Business School in Seoul until 2008. He is co-founder and advisory board member of PebbleAge, a Geneva based company specialized in corporate performance management solutions where he was director of research and development and led an Enterprise DRM business unit until 2004. He holds a PhD and an MSc in Information Systems from University of Geneva. His research interests include Digital Rights and Policy Management (DRM/DPM), exception management in DRM environments, IS security, green security (socially responsible and sustainable security), corporate information asset management, governance, risk and compliance (GRC), data protection and privacy, electronic commerce and services, Peer-to-Peer computing, cloud computing, mobile objects (agents), IoT, electronic publishing and information services over open networks. Allan Paltzer is Anti-Piracy Analyst at HarperCollins Publishers Ltd. Allan is responsible for HarperCollins UK’s anti-piracy strategy, formulating internal policies for dealing with infringements as well as co-ordinating with the UK and International Publishers Associations regarding effective enforcement of authors’ rights. Bill Rosenblatt editor of Copyright and Technology and program chair of the Copyright and Technology conferences. He is president of GiantSteps Media Technology Strategies, a consulting firm. GiantSteps’ clients include copyright owners, service providers, and digital media technology companies, ranging from early stage startups to “name brand” multinationals, as well as investment firms and law and public policy entities worldwide. He has also served as an expert witness in several litigations related to digital content and content security technologies, and he has testified before and advised public policy entities in the United States and Europe on digital copyright and technology issues. He has also advised venture capital and private equity firms on potential investments. Bill is author of the book Digital Rights Management: Business and Technology (Wiley, 2001), several technical books published by O’Reilly & Associates, chapters of Television Goes Digital (Springer, 2009) and Electronic Publishing Strategies (Pira International, 1997), and several GiantSteps white papers, journal articles, and market research reports. He is a guest lecturer on digital copyright at leading universities and law schools. He has spoken at and helped design programming for the World Economic Forum in Davos, Switzerland, and other events on five continents. Prior to founding GiantSteps in 2000, Bill was chief technology officer of Fathom, an e-learning startup backed by Columbia University and other scholarly institutions. Before that he was a technology and digital media executive at Times Mirror and McGraw-Hill, and held consulting and market strategy positions at Sun Microsystems. He began his career as a software engineer in the telecommunications field. Bill has a B.S.E. degree in Electrical Engineering and Computer Science from Princeton, an M.S. in Computer and Information Science from the University of Massachusetts, and business education from Harvard and University of Southern California business schools. 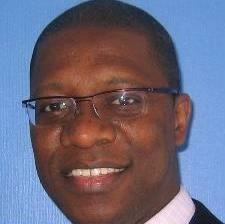 Godfrey Rust is Senior Consultant at Rightscom. He has over twenty years experience of information management in music and copyright. He was principally responsible for the computerisation of the UK music charts, as well as the establishment of the UK National Discography. Godfrey was the director of Data Services for the music collecting societies MCPS and PRS, and assumed technical lead for the copyright societies’ Common Information System plan and the <indecs> metadata framework. Godfrey is the co-editor of the MPEG-21 Rights Data Dictionary (RDD) on behalf of the contecs:dd Consortium and is a long-term metadata consultant to the International DOI Foundation (IDF). Currently, he is working on data modelling and ontology development for various corporate and industry clients. Godfrey is now the Principal Data Architect for Ontologyx, Rightscom’s ontology product initiative aimed at providing industrial strength metadata interoperability based on the radical principle of contextual transformation. Werner Strydom is VP of Technology at Irdeto and is a technology, products, and systems specialist with extensive experience in the field of broadcast and on-demand media technologies. He currently leads a team in charge of the company’s Broadband Products Strategy and is an expert in CA & DRM technologies for DVB, Mobile, and IP platforms. Werner joined M-Net, part of the Naspers group, in 1993 and transferred to Irdeto in 1994. Since 2003, Strydom has also been chairman of the working group within the DVB Technical Module – currently in sleep mode – that is responsible for the specification of the DVB Simulcrypt head-end standards. Geoff Taylor is Chief Executive of the BPI, the association representing British major and independent record labels. He is a director of the Official UK Charts Company and BRIT Awards Limited (which stages the annual BRIT Awards show), a Governor of the BRIT School for the Performing Arts & Technology in Croydon, and a Trustee of the UK music business’ charity, The BRIT Trust. In his spare time Geoff enjoys playing tennis, keyboards and watching cricket. Gilles Vercken is a French lawyer, Partner of the Gilles Vercken Law Firm, based in Paris. Gilles Vercken first practiced as in-house counsel (SACEM/SDRM – SACD – CANAL PLUS), then as legal expert attached to the European Commission (for intellectual property and digital issues) and as general secretary of Art 3000, first digital artistic network in France. In 1995, Gilles Vercken founded his own Law Firm and then joined a well-known international law firm in 2002 (Denton Wilde Sapte), where he headed the Technology Media Telecommunications department for three years. Founded in 2005, the Gilles Vercken Law Firm is essentially dedicated to intellectual property law, information technology law and media law and deals with all questions linked to new technologies. In collaboration with the well-known Law Professor, Valérie-Laure Benabou, a structured team of five lawyers is at its clients’ service: well-known international groups, small and medium sized firms, local government, and institutions. Gilles Vercken participates actively in the thought and action about the future of law and digital: articles, conferences, committees, legal opinions for competent authorities. Gilles Vercken is also member of several professional associations: the European network of legal experts Trans Europe Experts, IAEL (International Association of Entertainment Lawyers), AFPIDA – ALAI French group – (French Association for the International Protection of Author’s Rights), APRAM (Association of the Practitioners of Trademark and Design Law) etc. 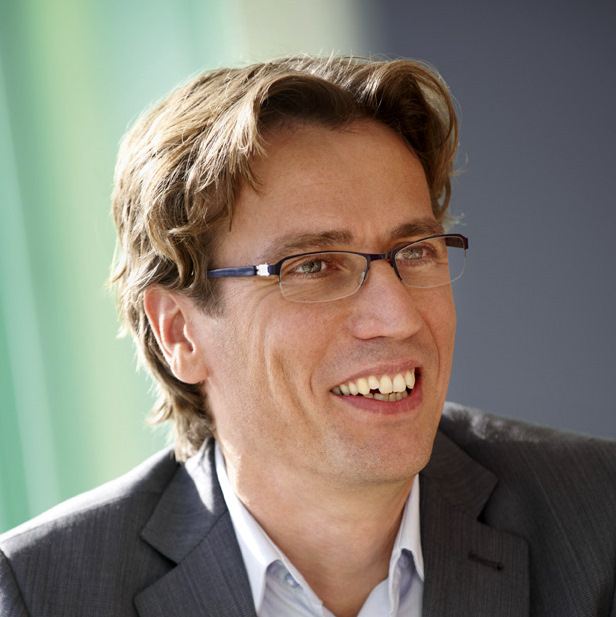 Gilles Vercken is also Lecturer in nine IP or TMT Masters Degrees in Law. Eric Walter was appointed Secretary General of HADOPI (Haute Autorité pour la Diffusion des Oeuvres et la Protection des droits sur Internet) by the President of HADOPI, Marie-Françoise Marais, in March 2010. In 1987, M. Walter founded the Opéra-Jeunesse, an association that trains young musicians and opera singers. In 1989, this experience led him to become one of three founders of l’Orchestre Symphonique d’Europe, an orchestra of young professionals from 15 countries in Europe. Between 1994 and 1995, he lived in Guatemala where he was a consultant for the Regional Chamber of Commerce and Industry of Burgundy. He conducted studies on the processes of community co-financing of projects of public/university economic partnerships between France and Latin America, and he initiated projects of trade between France and Guatemala. On his return to France, he joined the cabinet of Philippe Douste-Blazy, Minister of Culture, where he was project manager for the Heritage Foundation (Fondation due patrimoine). He then joined the Department of books and reading of the Ministry of Culture and Communication. In 2002 he became head of the office of economic evaluations and the Information Society Directorate at the Prime Minister’s Media Development services. At this post he drove the conceptualization and creation of the “Signal Spam” national platform for spam reporting. In 2006, he joined the Interior Ministry as a project manager for the development of information society, then he joined the UMP (Union pour un Mouvement Populaire) party, where he led the web campaign technical team and contributed to the debate on Internet policy during the presidential campaign of Nicolas Sarkozy. In June 2007, he became an adviser in the Office of the Secretary of State for Foreign Affairs and Human Rights, where he worked on reform of international adoption and the commitment of France in the fight against discrimination based on sexual orientation. In his role, he presided over the construction of the new Department of International Adoption at the Ministry of Foreign and European Affairs, was responsible for the initative of “Volunteers for Child Protection and Adoption,” and actively contributed to the French recognition of the World Day against Homophobia, reporting to the UN to decriminalize homosexuality, and the first international congress of the fight against homophobia and transgender-phobia. In June 2009, he became advisor to the Secretary of State for Sport, in charge of issues of violence in sport, child protection in sport and doping. This was the source of the first National Congress supporters’ associations in January 2010 and the Sports Fund for the International Protection of Cchildren intended to fight against the exploitation of minors in international sport. Tim Wright is Vice-President, Worldwide New Media and Technology at Sony Pictures Europe and is technical and content protection lead for all Sony Pictures content licensing work worldwide, as well as being a key part of the company’s policy-making on content protection standards and technical reviews. He is also responsible within Sony Pictures for promotion of the new industry standard for film and TV ownership, UltraViolet (www.uvvu.com), within Europe and Asia. He is now focussed on the launch of UltraViolet services on continental Europe. Prior to Sony Pictures, Tim worked on technical security for Motorola and in research and standards for mobile security, including mobile TV and content services, for Vodafone. He is also trained in facilitation and communications skills.